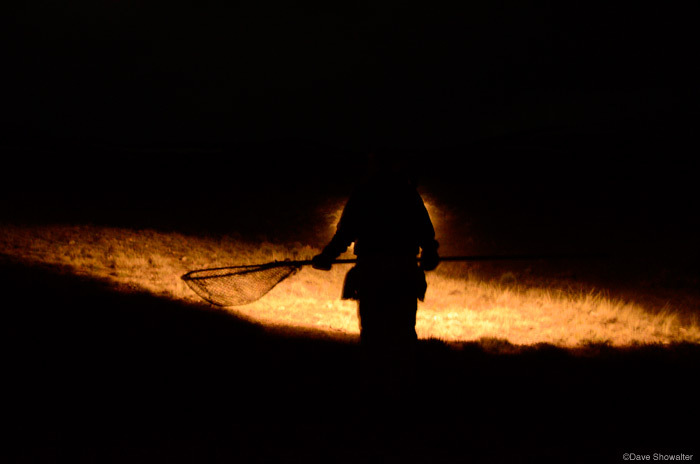 Jessica Divens of the Colorado Division of Wildlife sets out with a large net for Gunnison Sage-grouse trapping. The grouse are trapped near a lek in spring for transfer to a satellite lek. Centrocercus minimus . Photo © copyright by Dave Showalter.